An unexplained increase in the number of revision circumcisions has pediatric urologists wondering whether the finding is real and, if so, what caused it. 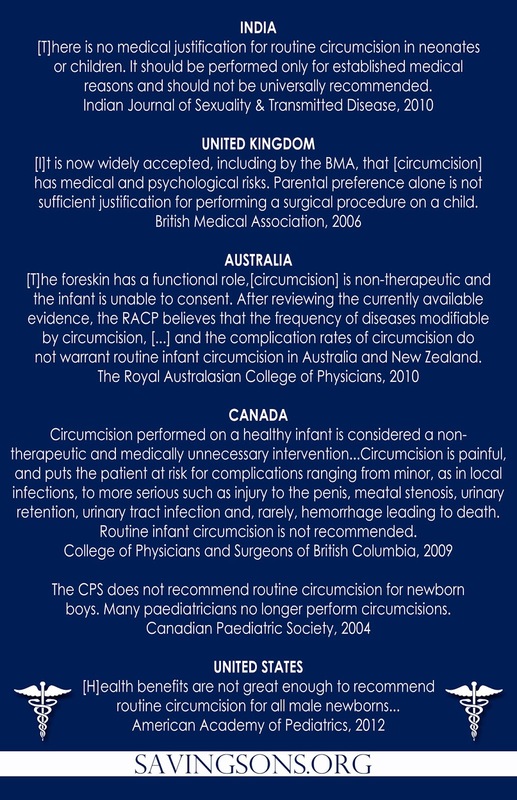 Data contributed by pediatric hospitals nationwide showed a 119% increase in the rate of revision circumcision procedures from 2004 to 2009. In contrast, the rate of primary circumcision increased by 19%, and procedures to remove penile adhesions rose by 37%. Closer inspection of the data showed wide variation by hospital in the rate of revision circumcision during the study period, Paul J. Kokorowski, MD, reported here at the American Academy of Pediatrics meeting. "We found that certain hospitals had dramatic rises in revision circumcision procedures [approaching 1,000% in some cases] while others had more modest increases," said Kokorowski, of Children's Hospital Boston. "Only three hospitals showed stable rates or slight decreases," he said. ]The analysis included 34,568 patients who underwent one of the targeted procedures. The total consisted of 5,632 revision circumcisions, 25,768 primary circumcisions, and 3,168 procedures for lysis of penile adhesions. The 119% increase in the volume of revision circumcision at the participating hospitals stood out as significantly greater than the increases in the other two procedures (P < 0.001). The rate of revision procedures increased in a near-linear manner over the period reviewed, starting with a 17% rise from 2004 to 2005, and then to 47% for 2006, 71% for 2007, 91% for 2008, and 119% for 2009. In contrast, the rate of primary circumcisions peaked at 22% to 23% during 2007 and 2008 before declining to 19% above the baseline level. The rate of adhesion-lysis procedures declined by 11% from 2004 to 2005, peaked at 45% above baseline in 2007, and then descended to 37% in 2009. In an effort to determine factors contributing to the increased rate of revision circumcision, investigators performed an analysis limited to 13 hospitals that provided complete data on the three penile procedures for every year of the study period. They found no consistent patterns. The findings left unanswered the question of what caused the large increase in revision circumcision procedures over a five-year period. "Revision circumcision does seem to be more common at specific PHIS hospitals and this might represent a more overall increase in revisions," said Kokorowski. "Unfortunately, due to the limitations of our dataset, we can't speculate on the reasons for this change." American Academy of Pediatrics. Kokorowski PJ, et al. "Is circumcision revision becoming more common?" AAP 2011; Abstract 13760. Further medical studies and peer reviewed research on circumcision and the human foreskin. Newborn undergoes initial circumcision. 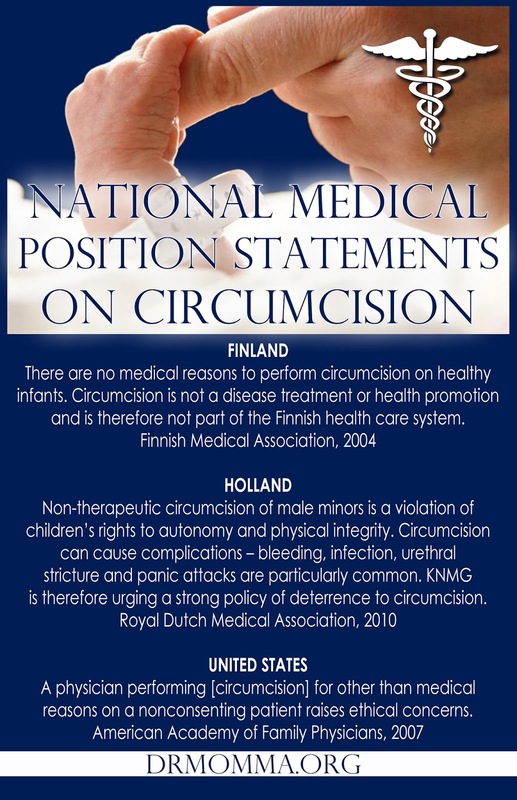 No national medical organization in the world currently recommends routine infant circumcision.